Home health care processes and workflows. 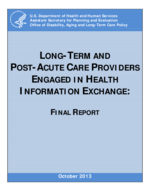 HIE information flows around hand-offs in case, shared care, and administrative processes. EMHC staff described the clinical workflow processes for care and how information is used and exchanged. Table J-6 describes the process, information collected and/or exchanged and observations by staff. Referral/Intake Collect clinical, demographic & payment information on potential admissions. Enter patient demographic into EMHS EHR to create a patient identifier which creates a record in Horizon Home Care for the patient. 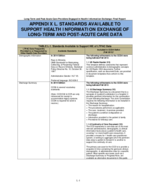 Perform an additional level of screening of patients to ensure appropriateness of care. Hospital nurse managers work with the post-acute care liaisons on the hospital unit to determine discharge plans. When the decision to admit to EMHC is made, central intake collects information on a patient & communicates with the relevant agency/sites. They maintain patient information on Cerner PowerChart & on a shared network drive for the home care nurse manager to access during their assessment at the start of care. Start of Care Nurse or therapist assesses the patient & develops a POC. They admit the patient & call the physician from the patient's home. Meds are verified from the discharge summary & the attending called when there are discrepancies. If there is a certain type of medication interaction alert EMHC requires a call to the physician. The OASIS Start of Care & comprehensive assessment are completed. The nurses & therapists have laptops & document at the point-of-care in the patient's home. The ACO is beginning a new pilot program where the pharmacist sends pharmacy students with the physical or speech therapist to assist with medication reconciliation when they are completing the start of care visit. The POC includes demographic, insurance, medications, diagnoses, physician orders & visit schedule, care plan goals, & specific assessments. The Comprehensive Assessment & OASIS Start of Care data flows into the Home Care POC (485). The POC is available for physician review & signature. 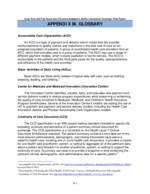 Recertifications are completed based on the required schedule based on an update of a subset of information the comprehensive assessment. EMHC has developed a physician portal to their McKesson EHR system. Physicians using the portal log in to access the health record documents & orders requiring their review & signature. The physician has the option to annotate, sign or reject. The system also collects care plan oversight data & tracks how much time the physician has spent per patient reviewing their orders & POC. The physician can print out this report & give it to their billing staff (it is not electronic). If the physician is not on the portal, EMHC prints out the POC & faxes it to the physician for signature. Home Health Visits Home health staff (nurses, therapists, aids) document at the patient's home using laptops and/or telephony. Aide documentation is completed via telephony. Nurses complete their documentation on their laptop including their clinical notes & plan for the next visit. 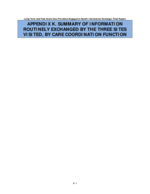 The clinical notes reflect the nursing care plan. Aides call in & an automated care plan is read to the aides who use buttons on their phone to identify if a task was complete or not. 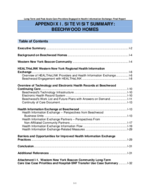 A telephony report is created for the record & the visit shows up as completed. If there are incidents or concerns, staff complete documentation at the agency not from the patient's home. Order & Medication Changes The physician is called for new order requests. The nurse/therapist enters the orders into the EHR. Physicians using the portal can sign in the EMHC EHR. Assistants print out the orders for non-portal physicians. The orders are printed out & faxed to the physician. Orders not signed in the portal, but faxed & maintained in the paper-based medical record. Lab, Radiology & Other Tests Orders for labs are tracked & when required are drawn & brought to the lab. Lab results are currently in paper format & maintained in the paper-based medical record. Electronic lab results are available on HIN (the lab provider reports results directly to HIN). Discussed the use of document imaging, but there is not a plan to use scanning to include the lab results in the electronic record. Telehealth Patients upload data daily to telehealth nurse in Caribou Maine. Responses to individualized questions, for example, shortness of breath, dietary compliance, endurance, etc. Information is accessed on the Phillips cloud-based application. An interface is currently under development to make telehealth data available in the McKesson EHR. Multidisciplinary Care Plan Currently EMHC has a care plan (separate from the POC (485)). Each discipline maintains a separate care plan based on the discipline & problem. The hospice care plan is multidisciplinary. EMHC is starting a new multidisciplinary care plan based on the OMAHA system. The care plan will flow from the comprehensive assessment & OASIS to identify preliminary care plan problems, goals & interventions. Discharge A discharge POC is developed for the patient. A discharge order is obtained from the physician & a discharge summary completed if requested. EMHC may coordinate with community services as needed to assist with care transitions. Hospice-Specific Functions An interface has been created with Hospice Pharmacia. Demographic & medication information is exchanged with Hospice Pharmacia. Hospice Pharmacia is a national company that provides hospice medications & pharmacy management. They cover the cost for some meds. 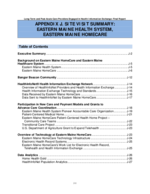 EMHC does not report or identify any specific HIE measures. They report the 33 required quality measures as a Pioneer ACO. 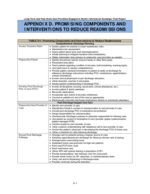 These measures are detailed in Attac hment J-1. Patient input on Community Services Hospital Care Managers with Patient & Family to build the discharge POC. 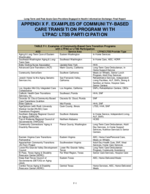 Discharge Information from LTPAC Provider to Patient Discharge POC developed by home care for patient. ADT Event Data to HIE Network Home Care ADT feeds to HIN (2 way). Initial Assessment & Development of Admission Plan Nurse and/or therapist assesses patient & develops POC. 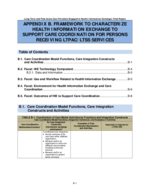 Coordination with physician at Start of Care including Medication Reconciliation & Orders, Evaluation/ Certification & Plan of Care Medication reconciliation upon admission to home health care with Primary Care Manager. Data to HIE Network Physician POC sent to HIN for inclusion on HIE. 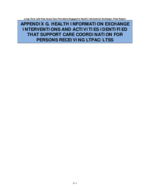 Transmission of telehealth data from patient Patient submits telehealth data via devices for monitoring by EMHC telehealth nurse. Electronic submission of mandatory data sets which includes quality measures Submission of OASIS data which includes CMS required quality measure data. Submission of Hospice quality measures. ACO Measures Pioneer ACO Measures (EMHS) Pioneer ACO Measures (EMHS ACO Partners). 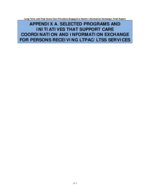 Payer Medical Records Requests Remittance, medical review, or RAC request for medical records.